Read about the further benefits of FELIWAY CLASSIC's “happy messages” and beyond how it can help if your cat is showing signs of unhappiness such as spraying, scratching or hiding. These “happy messages” help your cat to feel comfortable and safe in their new environment. 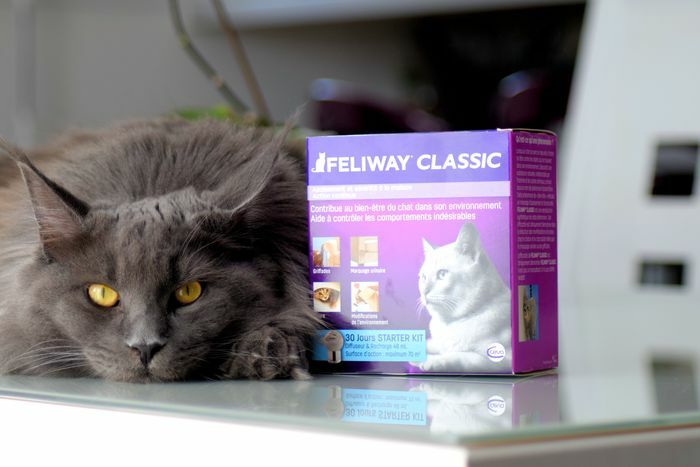 No matter what changes in the home and in the routines of those in it, FELIWAY CLASSIC will keep re-assuring your cat. You may notice that they are more playful, more willing to curl up on your lap - just like they did when they were a kitten. You will start to see your happy relationship returning! You won't believe the results by month 3! Your furbaby will be more confident, more affectionate and more attached, day after day. Simple! The “happy messages” sent by FELIWAY CLASSIC are constantly in the air. So your kitty no longer spends their days worrying about what terrible experience might be lurking around the corner: noises, visitors, vacuum cleaner, renovation, public works in the street - you name it; none of this can affect your cat's happiness anymore! Instead, they will be enjoying life, and you can be happy together. You'll spend more time together playing and cuddling. You will feel like you've got your best friend back. “Thank you FELIWAY”, is what you will say! But don't just take our word for it. Watch Cassius Disco's testimonial video to see how FELIWAY CLASSIC helped him settle into his new home.